1. 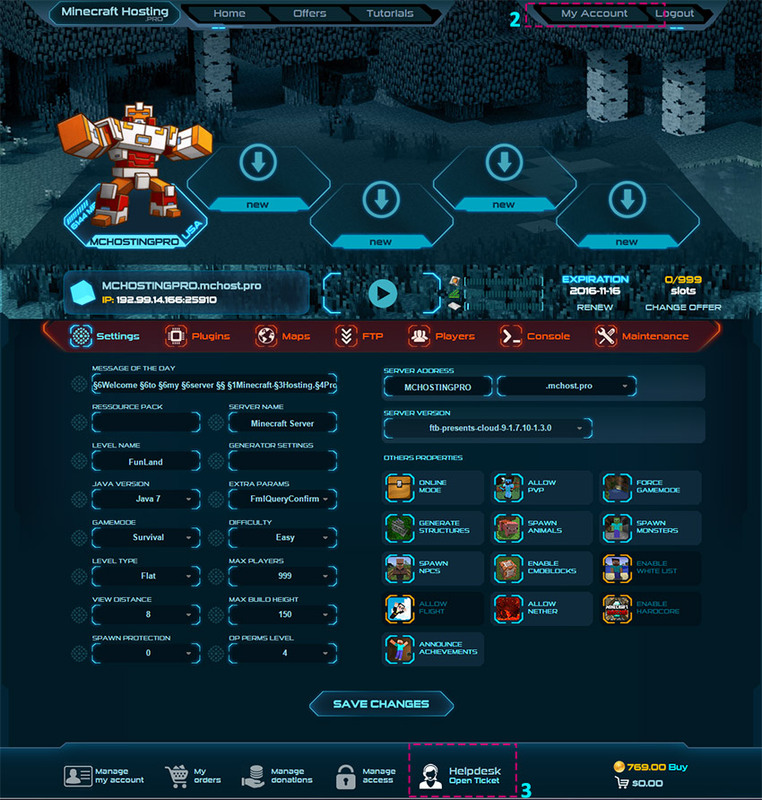 Firstly connect to your server or create an account. 2. Go to "My Account" to access at your panel. 3. 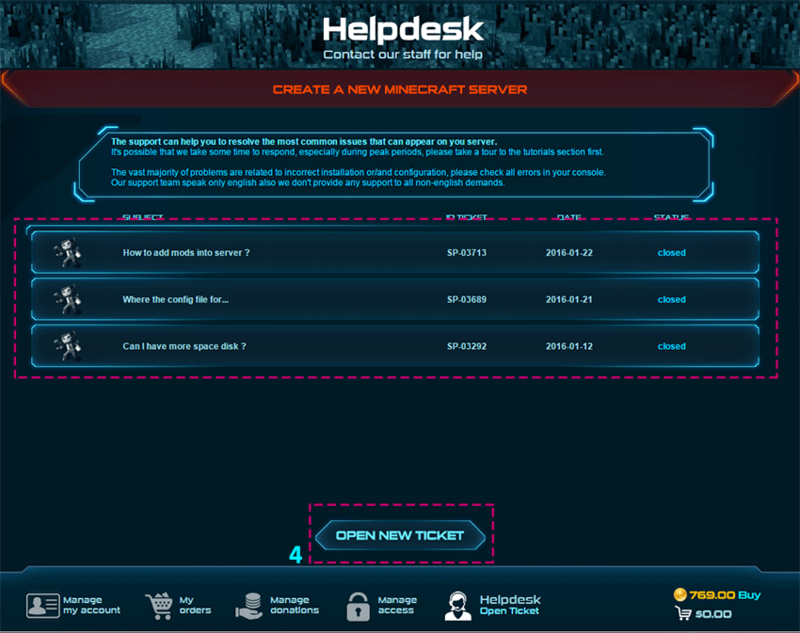 Click on "Helpdesk Open Ticket"
5. 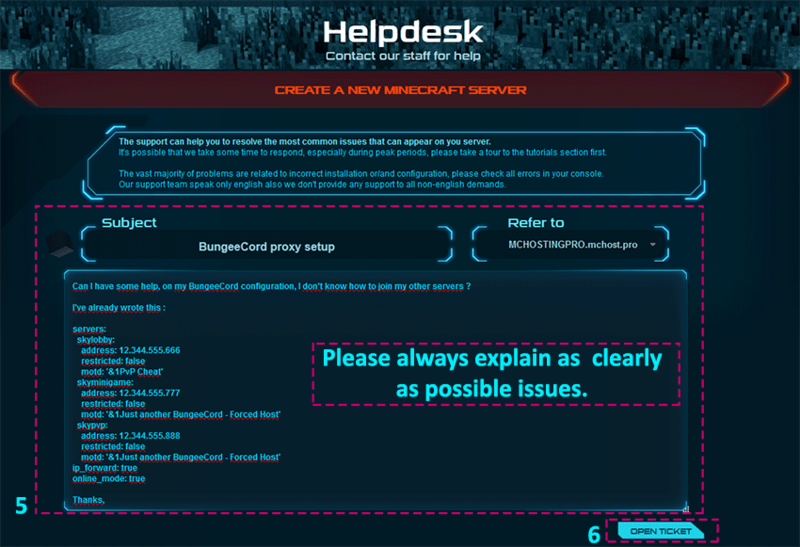 Write your "Subject" the server refer and explain all the problem. 6. Click on "OPEN TICKET" to send your message.